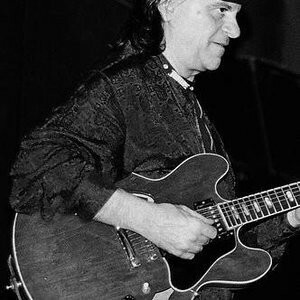 He completed an album in July 1991 with Ed Thigpen on Justin Time records called “Mr. Taste”. This received the accolade of a Downbeat magazine 5-star rating. 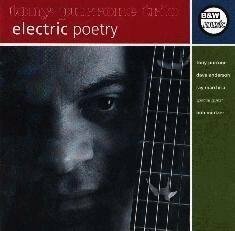 In 1993 Tony released his debut CD as a leader and composer on the B&W label (now, Meltdown-2000) entitled, “Electric Poetry”. It features Bob Mintzer (woodwinds), Dave Anderson(bass) and Ray Marchica (drums). His compositions and eclectic diversity figure greatly in this setting. 5.0 out of 5 stars.....KILLS!!! - Jimmy Heath’s CD’s, “You’ve Changed” (‘91) and “You or Me” (‘95) on Steeplechase records. - All-star recording with the late Grover Washington, Kenny Garrett, Lonnie Smith, Joey DeFrancesco, Idris Muhammed, and Lenny White on Hip Bop records: Essence All Stars “Organic Grooves”. - Tony routinely appears with Jimmy Heath as a special guest, most notably: an Alice Tully Hall (Lincoln Center) performance with the 3 Heath Bros., Wynton Marsalis, and the late Joe Henderson as well as the Jazzmobile 35th anniversary gala concert at Lincoln Center’s Avery Fischer Hall, hosted by Bill Cosby. - Tony made a special guest appearance on the reunion Heath Bros. release on Concord records, “The Jazz Family” as well as live performances on three SS Norway floating jazz festival cruises, at the legendary Blue Note, Village Vanguard and Birdland jazz clubs in New York City, at the Bethel Woods Jazz Festival in New York and at the San Francisco Jazz Festival in California. - Tony made a special guest appearance in October 2016 at the Kennedy Center celebration of Jimmy Heath at 90, where he performed alongside fellow jazz greats such as Jimmy Heath, Herbie Hancock and Stanley Cowell.